Minecraft 1.12 is now here! The update brings a variety of new coloured blocks, from concrete powder to beds (and also parrots but I think they'd resent being called blocks). Not to mention the whole new Advancement system which should give you plenty work to do in Survival! But of course you all know what 1.12 brings, but what about 1.12 on DWO? Well for starters, you'll notice you've gone from a measly 16 different consoles available for your TARDIS to a mighty 21! The five new consoles are the original give consoles that were in the TARDIS plugin, now updated and available to use. 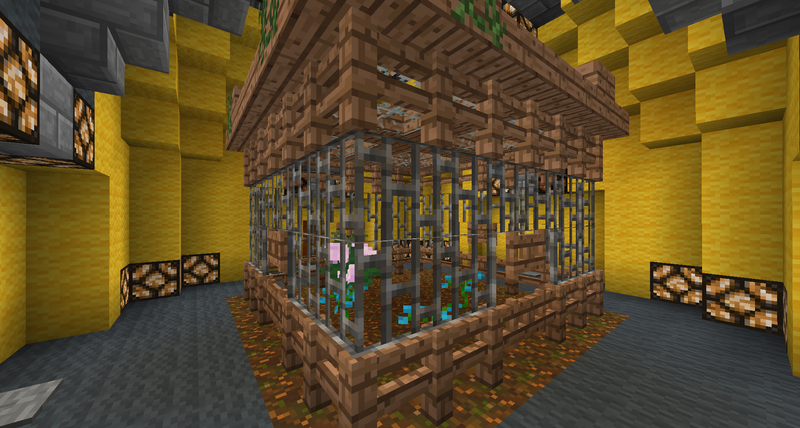 There's also one new room - the Birdcage for keeping all your trusty parrot pets! 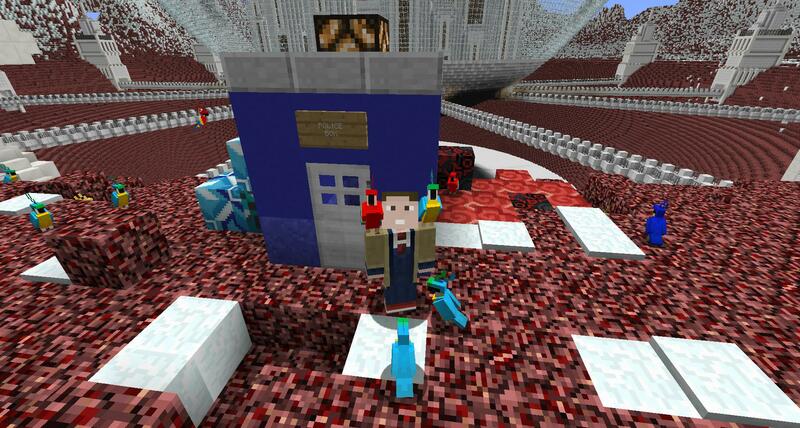 Parrots should stay on your shoulders when you go into your TARDIS, but keep in mind that when it comes to mobs in Minecraft you can never be sure anything'll work right. Your TARDIS also has one fancy new feature - atmospheric excitation, built right into the lamp. Just scan your TARDIS sign with your sonic screwdriver to start a brief snowstorm around your Police Box! Alternatively, you can /tardis excite if you're sign-less.